“Well, dear reader, we have embarked on an extraordinary brewing adventure, although I do protest—and have made my protests fully known to the brewmaster—, that this adventure should not have been undertaken at all. And now, I fear that there is little time left. You see, several weeks ago, we took up the undertaking of an old project abandoned by the doomed crew at Narragansett, who all fatefully passed away—every last one of them—approximately six months ago, the details of which I shall reveal to you below, if I can keep my nerves about me. 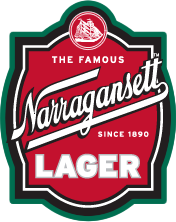 “Our story begins when one afternoon the recipe for a beer Narragansett was working on showed up at the brewery. But, dear reader, it did not arrive by mail, nor by any other known means; it simply was there one morning on our brewmaster’s desk. The team thought nothing of it, although I distinctly recall that I was deeply suspicious as it had an ominous feeling about it. In general, the team was quite pleased to be able to carry on the work of the deceased as an homage and act of solidarity amongst brewers. But as I was to soon find out, there was something quite out of the ordinary with this recipe. 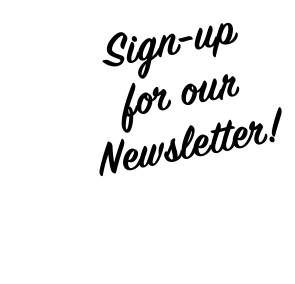 “As we mulled this text, we quickly discovered that it was far more than a list of ingredients, times and methods, as it contained a great deal of frankly disturbing commentary and margin notes about the goings-on about the brewery. I took it upon myself to become the foremost acquainted with this text amongst my coworkers, pouring over each and every word, and several times at that. What emerged from my study was a ghastly tale about how dark shadows and odd strangers bearing foreboding omens of forgotten evils dismissed as myth began plaguing the brewery while they were trying to perfect the very recipe that now sat before us. According to this manuscript (and its ample commentary) it revealed that the folks at Narragansett were painstakingly translating a long-lost archaic German text, apparently dating from well before the dawn of European brewing; an archeological treasure, for sure! Through their studies, they began to suspect that what they discovered was the mother recipe of beer itself. But its origin was… unnatural. You see, this translation they were working on revealed that it began with more than just hops, barley, and water; there were incantations to the earth mother, Jörd, who, as the old stories go, “gave life to” the beer. This, at first, struck even myself as proto-scientific nonsense concocted by barbarians who did not yet understand the role played by yeast. But as the translation unfurled, there were references to and incantations uttered invoking the names of older, darker Gods, the likes of which had completely fallen out of German culture. Further still, the manuscript reveals, this dark mother of brewing wasn’t forgotten; centuries ago, her name itself was deliberately banished from even being spoken. “The team at Narragansett thought it nothing but an old silly myth—and I must say we all had a few good laughs at it—until the accidents and other odd occurrences began. These were unanimously over-looked by the brewery as they coincided with the maturation of the best batch of beer they had ever tasted! It was a miracle of zymurgy that baffled them all as no yeast whatsoever was required as per this ancient recipe, and it had them transfixed. Allegedly, as this manuscript insists, the incantations themselves began the fermentation process; preposterous, I know, dear reader, but please bear with me. As the notes of the manuscript describe, the brewing crew at Narragansett appeared to be so caught up in the revival of this incredible discovery that they didn’t think twice about the broken windows, flocks of ravens, persistent gloomy weather, and even odd sulfurous smells that would waft around the brewery, especially at night. The irregular and unaccounted for fluctuations in the power supply are what finally got their attention as it interfered with the brewing process itself, but by then it was too late. “The brewing team of which I am a part was ecstatic about resurrecting this ancient recipe, and seemed not to care or even notice the foreboding tone of the manuscript, as if they were hypnotized by the lure of this beer’s revival. I took it upon myself, dear reader, to travel to the original site of this brewery to see if I could not gather together what came from following this recipe, and what became of their brewing team. What I discovered shocked me to my core. “I had to track down the next of kin of these poor souls, and dare I say, I regret doing so, as the sinister nature of what I had begun to uncover chilled my very soul. We don’t know exactly what happened, but over the course of exactly six days, the entire staff of Narragansett perished or disappeared in seemingly unrelated instances. These tragic premature ends ranged from an automobile accident, to an aneurism, and in one case, simply never being heard from again; as if this one young man had simply vanished. I did not reveal to the bereaved what I had ascertained from reading the Narragansett Manuscript, so it was I alone that was beginning to piece together what had actually transpired. “Concerning the case of the man who apparently vanished, he was a lowly apprentice, and his story was the last piece of information I needed before I hastily returned home. He left behind a letter corroborating these very events as described in the Narragansett Manuscript, but in slightly more detail. I also did note that his handwriting appeared to match some of the more urgent warnings that appeared in the margins of the manuscript. It appears that this young man became distinctly aware that something terrible beyond all human comprehension was emerging from the very earth itself. He writes that there was “a darkness” that had settled into “the very soil” around the Narragansett Brewery that no one seemed to notice but him. He writes of moving shadows that sent ice through his veins, and deep whispering voices rhythmically chanting in a language that sounded a bit like German, he says, although distinctly not. He writes that the last straw for him was coming into work one evening and seeing the rest of the brewing team standing around a fermentation tank, dimly lit by candles, holding hands and chanting the very whispers he had heard at night, and in his nightmares. “His girlfriend, who I tracked down only at the expenditure of tremendous effort, as if she did not want to be found, handed me a letter written by this young brewer and would say no more, literally slamming the door in my face. It took a fair amount of pleading and reassurance to get across the importance and urgency of what was happening to get her to share a few more words with me. As she revealed, this letter was written on what came to be his last evening on earth, dated the evening of the first of these six fateful days. His letter testifies that on this night he left their apartment with a vacant and forlorn look in his eyes to head up to the brewery. “There is something I have to do, there is something I have to do…” he said to her, as she tells the tale, over and over again, seemingly single-mindedly transfixed with horror on some unimaginable task that lay before him. As I mentioned, dear reader, he was never seen again; these words uttered to his pitiable girlfriend being his last. “The day following the disappearance of this young man, as I had ascertained through personal interview, a few of the old brewery’s neighbors testified that the odd accumulation of birds and animals that had taken to the brewery’s grounds dispersed, and the sweet smell of spring returned, taking away the dusty and flat pal that had settled over the area during the previous weeks. One elderly woman I interviewed even remarked that the sun seemed to shine brighter these days. I agreed with her, but still felt something lingering in the air that ought not be there; a shadow’s shadow, if you would. “The reader may wonder about this magnificent batch of beer they had apparently brewed by following this ancient recipe. Oddly enough—or perhaps the reader will not find this so odd at all by this point—this magnificent beer that they had discovered had gone entirely rancid; every last drop of it. I explored the old brewery—now condemned—by letting myself in through a broken window and did indeed find a bottle of this brew, identifiable by a strange glyph written on the cap I recognized from my study of the Narragansett Manuscript. I don’t know what compelled me to open a bottle, but I regret this more deeply that I can articulate. I have not the vocabulary to explain the smell, as it alone caused me to violently wretch and drop the bottle. It shattered on the brewery floor, spattering my pant legs with its foul contents. These pants I threw away upon my return home; only my modesty prevented me from stripping them off on the spot. Win A Trip To Spring Training in Fort Myers! Tall Boy Wants To Crash Sunday’s Party!